Welcome to My Inky Friends Stampin' Up! 's 30th Anniversary Catalog Hop! SU! is Fabulous at 30, and there were so many cute sets I could have chosen for this hop. 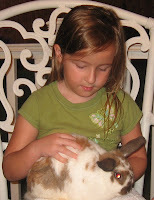 I went with the obvious Best Bunny though, and I'm happy with my choice. 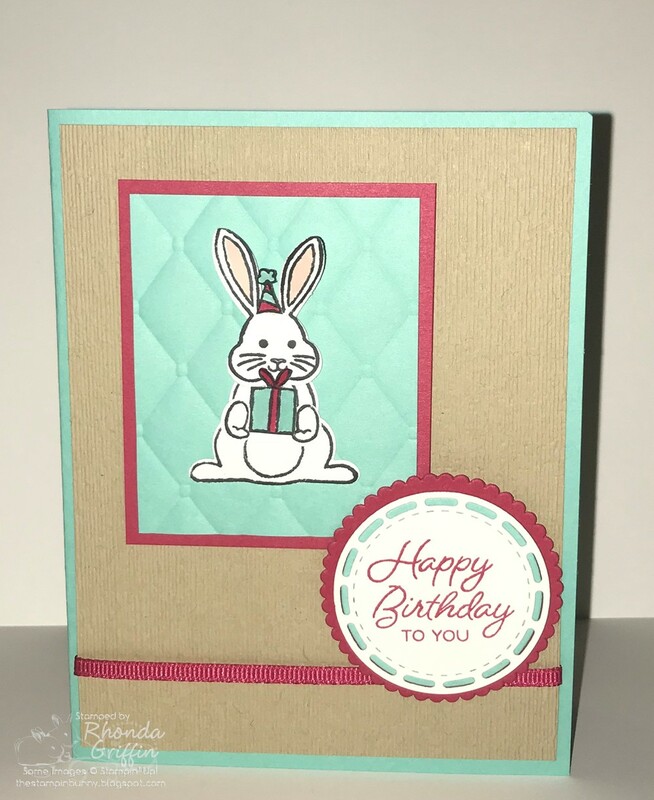 You've likely arrived from Cindy's Heart's Delight Cards where she used the lovely Accented Blooms Bundle for her pretty creations. 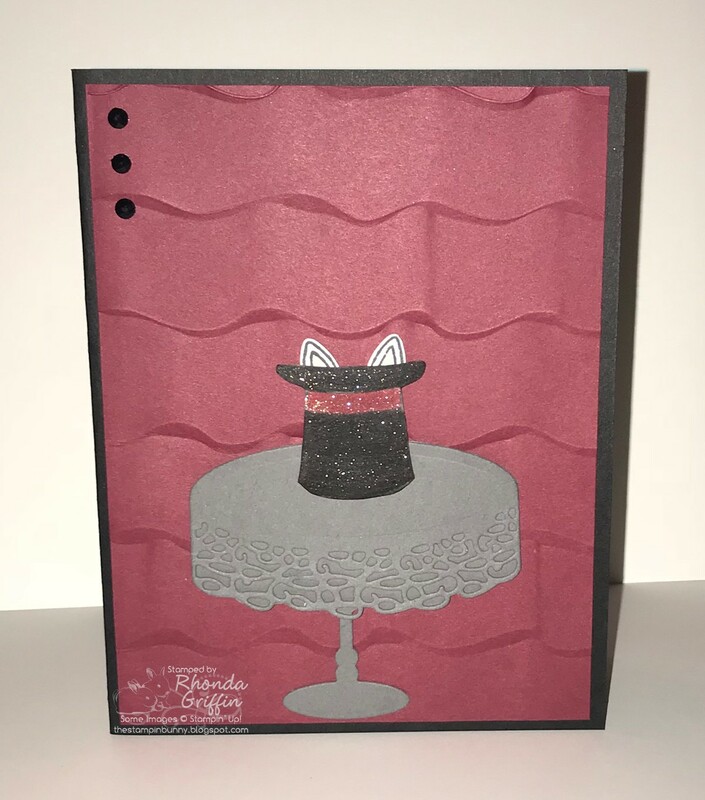 For this card, I used the Ruffled Textured Impressions Embossing Folder as a Merry Merlot curtain-y background. I used the cake stand from Cake Soiree as a Basic Grey table. 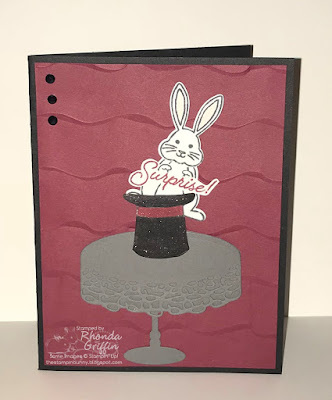 The Magician's hat was stamped on Whisper White and colored. Then, I added Clear Wink of Stella to it and to the word "Surprise" inside. 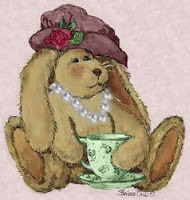 You simply pull the rabbit out of the hat. 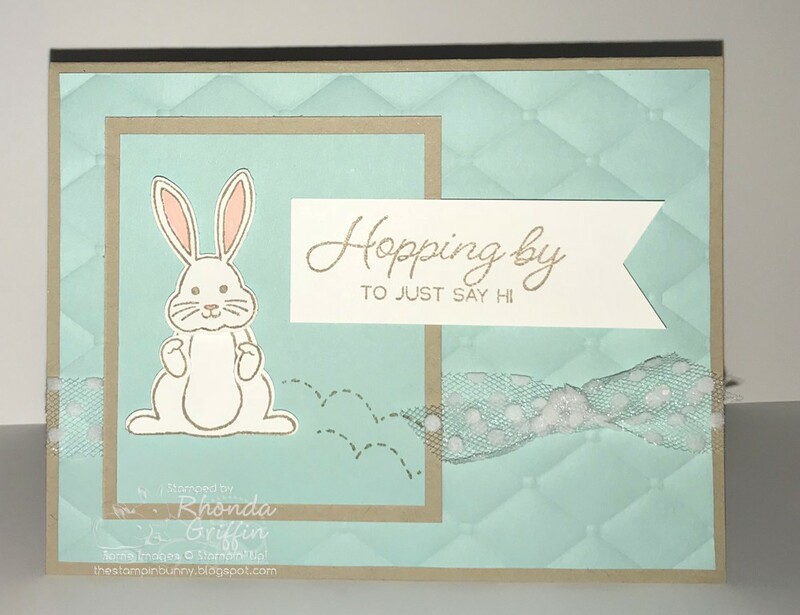 The table has a bit of cardstock to stop the bunny from falling through, and I'll have a photo tutorial posted for it on Monday. I also made this little sweetie hopping by and saying, "Hi". I didn't want to post this card until my customers and downline had made it, so here it is finally. I used both the Tufted and Subtle backgrounds. I fussy cut and colored the present and hat with Stampin' Write markers and used the Stitched All Around die around the sentiment. Now we'll continue to Kris's blog, Paper Fairy Kris. 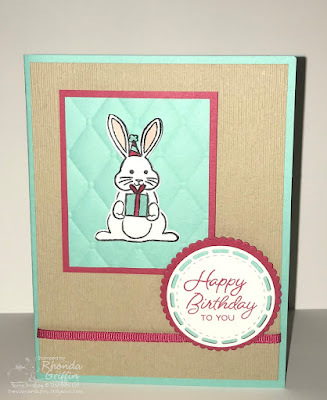 She used the Sea of Textures bundle for her adorable cards.